Does your site content relate to my company's product or service? Our site content is targeted to fashion, apparel and beauty industry, visited both by industry professionals and consumers. Will the site's design complement my campaign? All the listing/membership pages can be designed to your specifications, as well as postcard and newsletter ads. Our site is constantly updated and kept with the highest standard to build a strong image of the industry. How much does it cost to advertise here? The advertising (membership) rates start from $75 per year. Both postcard and newsletter ads are very affordable. How many impressions (your listing hits) are included in the price? Average of 500,000 per year for a standard listing in specific category. The average price for 1000 impressions on most sites is $10. Now do the math. All it will cost you on our site is $75 per year. Number of impressions has a growth rate of 30% a month, so the above number represents the current number of impressions. Additional advertising can increase your impressions in a specific category. How many unique users will click on my listing? Average of 500 users per year. Remember this is targeted audience. The average price on the market, if you are paying per-click is $1. Now do the math. All it will cost you on our site is $75 per year. Number of users has a growth rate of 15% a month, so the above number of users represents the current average. Will my ad be delivered evenly throughout the course of my contract? Absolutely. In fact you will be able to modify your ad/membership page as often as you would like. Can I advertise in the Minimidimaxi Magazine? Currently advertising space is only available on the main magazine page and current season page. 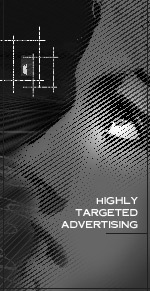 We specialize in highly targeted advertising using a B2B portal model. Magazine advertising is only limited to specific ad campaigns connected either to the content of the magazine or to promotion of specific events connected to the Canadian fashion industry. We do provide newsletter text block ads submitted to our subscribers/readers via email. What is the circulation of your magazine? Since we are an online magazine there is no limit to circulation numbers. Our current readership is 20K per month with 50K pages read every month. This number is growing 15% every month. How often and by what method are impressions counted? Once a week we run general traffic statistics, since we do not charge per impressions, we will not be supplying reports. Do you gather demographic information from surveys, registration data, or other research? We gather demographics from traffic statistics, registration of media and buyers, subscriptions. Can I specify that my page to be delivered within a specific category on the site, or whenever a user searches for a specific keyword? You have a choice of categories and keyword specific ads are also available.